Got $700? 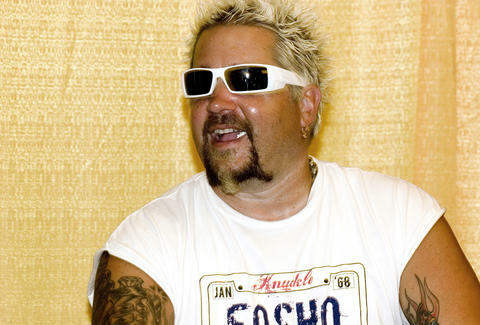 You Can Party With Guy Fieri on Super Bowl Sunday. If you're willing to part with $700 and whatever shred of cardiovascular health (and self-dignity) you still possess, you can score the privilege -- no, the goddamn honor -- of tailgating with Guy Fieri on Super Bowl Sunday. What's been dubbed as a freaking "live nacho bar" at the event could very well be worth the price alone. As reported by First We Feast, the Player’s Super Bowl Tailgate party boasts a guest list that includes more than 25 active NFL players, but most importantly, a premium bar and an "all-you-can-eat 5 star" food menu prepared by none other than the frosted-tipped celebrity chef. 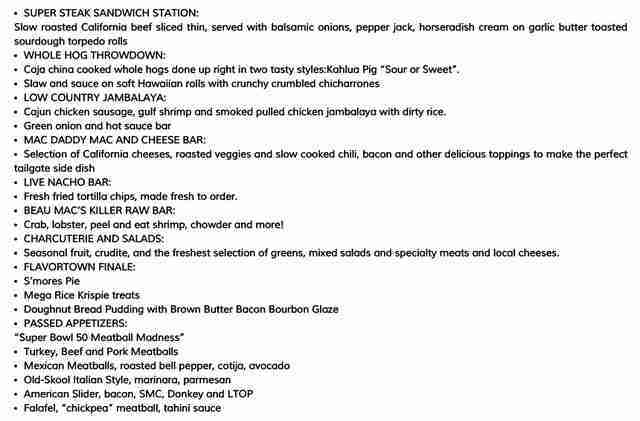 Fox Sports broadcaster Erin Andrews will host the event in a "custom high-end hospitality center" that will be constructed near Levi's Stadium in Flavortown Santa Clara, CA, where attendees can watch the pre-game coverage while gorging on foods with super-cool names, like Fieri's "super steak sandwich station," "mac daddy mac and cheese bar" and the aforementioned "live nacho bar." So, basically, you'll be lucky if you're still standing at kickoff time. Tony Merevick is Cities News Editor at Thrillist and is just going to stick with buffalo wings and tuning in just to see if the half time show is good. Send news tips to news@thrillist.com and follow him on Twitter @tonymerevick.